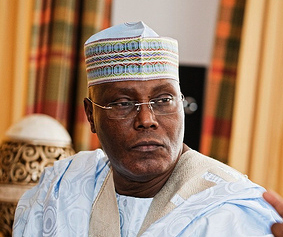 The presidential candidate of the Opposition Peoples Democratic Party, PDP, Atiku Abubakar has said that he would improve the electricity situation of the country if elected as President because he doesn’t enjoy the billions he spends generating power with diesel. The former vice president said this, during the #AskAtiku hash tag on Twitter on Wednesday, in which Nigerians engaged the presidential candidate in a question and answer session. A Twitter user with the handle @ofishea had sarcastically said that power will never improve, if Atiku is elected in the February 16th presidential election because he owns a business that imports generators. Me: You own a generator importation company, will Nigeria have power supply if you become president? Atiku: Of course, Nigerians are more important to me than my company. Me: O jewa ke eng? Atiku: I’ll make sure there are no power supply, so i can sell my generators. My friend, I know you meant this as a joke, but the power situation in Nigeria is not funny. As a businessman, I don’t enjoy the billions I spend generating power with diesel. Power is a key focus area in #TheAtikuPlan. We will attract key investors to our power industry and ensure competitive pricing, especially for corporate and industrial end users.